Dirk and Lori Morgan, owners of Morgan’s Jungle Lodge and Morgan’s Canoe & Outdoor Adventures, were with two guests on Costa Rica’s Osa Peninsula Beach after high tide. They were thinking they were the only ones on the beach at that time, until they walked down the beach and saw something in the distance. As they got closer, they realized it was a young, two-toed sloth hanging onto the rocks. The little sloth didn’t even make a sound until they got closer to him. 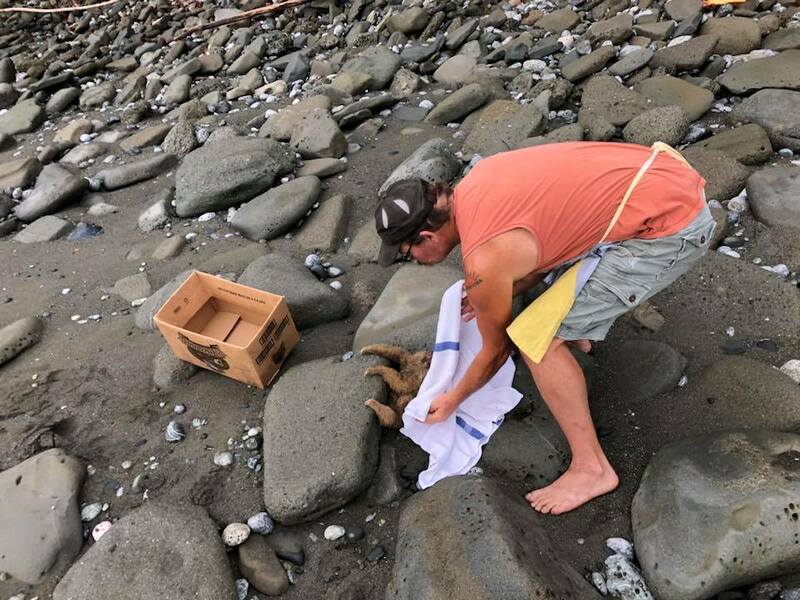 Sloths are usually found in the forests of Central and South America, but this little guy somehow found himself on the beach, hanging onto dear life during high tide. The Morgan’s looked all around but saw no adult sloth in sight. There were also dogs roaming around, so they wanted to get the sloth to safety as soon as possible. They wiped the salt water off the sloth’s face, rinsed and dried him, and wrapped him up in a blanket to keep him warm. 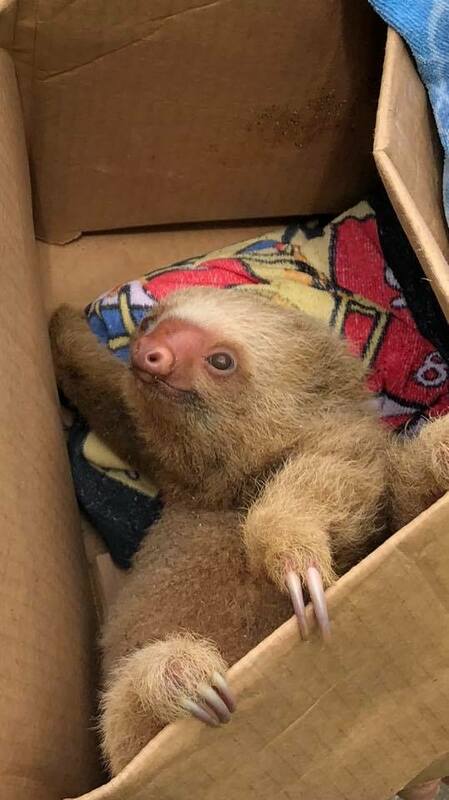 They then brought him to a nearby animal rescue where he will be examined and well-taken care of until he’s ready to be released back into the wild. 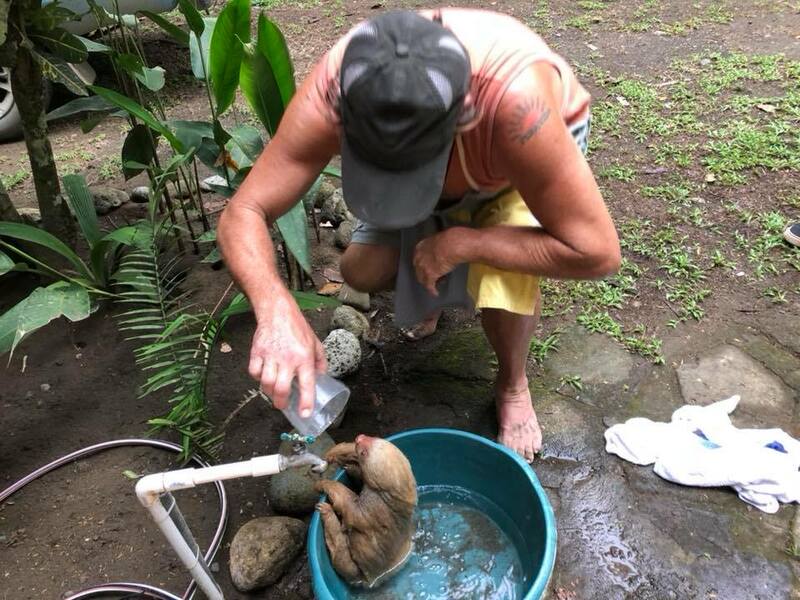 It’s unknown exactly how this sloth made it out into the water, but luckily he is now safe. The Morgans were at the right place at the right time to save this poor little guy. Hopefully he has a quick recovery and grows big and strong enough to make it back into the forest where he belongs!